The other day, I was trying to remember why I had posted a curious image on my friend’s Facebook wall in 2010. In a stroke of brilliance, my friend suggested we do a “reverse Google search” to see where the picture originated from, all while we were using Google Chromecast to watch this search unveil on my TV screen. In the middle of this (pretty standard) activity, I thought to myself about how incredibly bizarre this whole process would sound to someone just 10 years ago. Facebook walls? Reverse Google search? CHROMECASTING? We’ve all grown so blasé about these daily—yet bewildering—Internet tactics that we’ve lost sight of the magic and brilliance behind them. Before the Internet, people had to gain an understanding of how computers could communicate (or network) with each other. That’s where Leonard Kleinrock, an American engineer hailing from Harlem, came into play. Kleinrock pioneered the mathematical theory of packet networks, which, essentially, is the technological backbone of the Internet. By figuring out how to send “packets” of information across networks, Kleinrock was able to develop the ARPANET, which is the bare bones seedling that grew into the Internet we all know and love today. 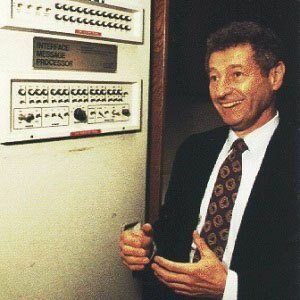 In fact, on a historical day in early September 1969, a team at Kleinrock’s Network Measurement Center connected one of their computers to an “Interface Message Processor,” thereby becoming the very first node on the ARPANET, and, perhaps more importantly, the first computer ever on the Internet. These days, it seems like there’s a browser for every kind of taste or personality. Are you over the age of 50? Internet Explorer. Do you enjoy plain bagels and go with the flow? Safari’s got your name all over it. Back in the day, though, there was only one browser, and it was created by Tim Berners-Lee in 1989. The World Wide Web (sound familiar?) was the first web server and also marked the advent of HTML. Through the World Wide Web, Berners-Lee was able to bring together the concept of the Internet and hypertext, which now establishes web pages as you know them. Today, Berners-Lee remains the Director of the World Wide Web Consortium, a Web standards organization he founded in 1994. You may not have heard of Steve Case, but you (and just about anyone living in the 1990s) most likely became acquainted with the Internet thanks to his brainchild: America Online. In February 1991, after a few trial and error test runs, AOL was launched, and with it came online games, chat rooms, AIM, and a whole new way for people everywhere to interact online. Its goal was to focus on making the Internet a part of everyday life. To say he succeeded would probably be a huge understatement. Perhaps the first name you immediately knew on this list, Mark Zuckerberg is one of the most recognizable Internet names, surpassing even the infamous Tom of Myspace. Just in case you somehow have yet to hear, Zuckerberg and his college friends founded what was then known as The Facebook in June 2004. By the end of the year, the site had 1 million users. Today, the site has more than 1 billion monthly active users. You can thank Zuckerberg for turning social media into the cultural phenomenon and world changer that it is today. 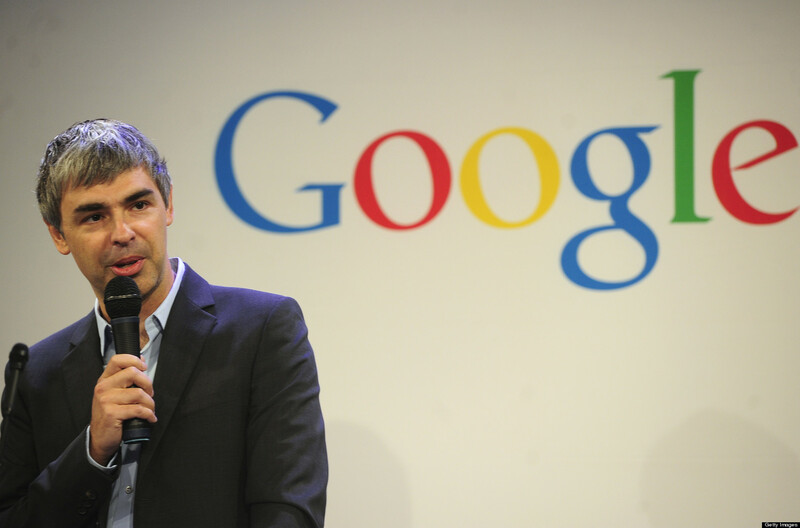 You’ve likely learned more from Larry Page’s creation than your own father. This guy revolutionized the way we use the Internet, and even our brains! In 1996, Page and his friend Sergrey Brin began collaborations on a search engine called BackRub. Fortunately, that name didn’t stick, and instead they decided to name their website Google, which they officially launched in 1998. Since then, the company has become the world’s most popular search engine, an everyday verb, and an overall technology powerhouse. In fact, today, Page is the CEO of Google, which now processes more than 40,000 searches every second (!) on average, more than 3.5 billion searches per day, and 1.2 trillion searches per year worldwide. Thanks, Larry Page, for giving us access to more information than we can even fathom. So this Father’s Day, take time to thank these men for all the ways they’ve made your life easier. No more flipping through encyclopedias to understand what the plural form of “beef” is, significantly fewer phone conversations, the beauty of Netflix?! Thank you, all you great fatherly geniuses. Without you, I wouldn’t even have a job.